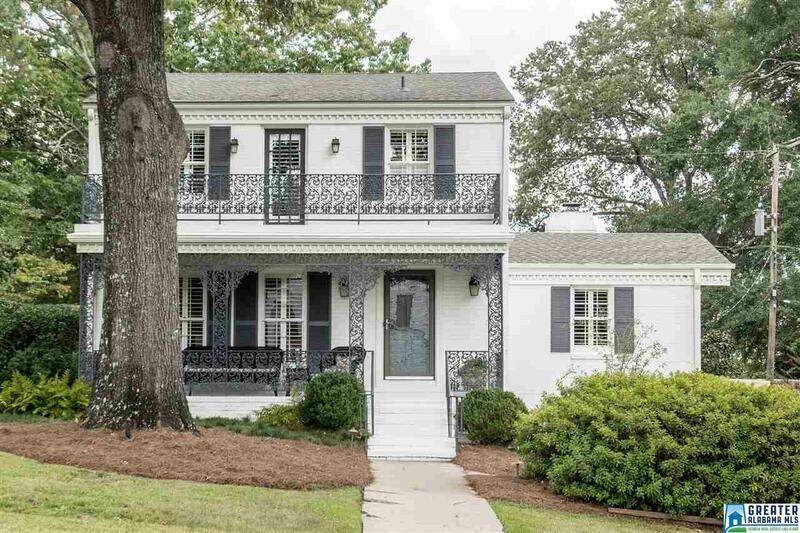 4001 Little Branch Rd, Mountain Brook, AL.| MLS# 828344 | Richard Jacks UABLIVING.com 205-910-2297 | Birmingham AL Real Estate | Contact us to request more information about our Homes for Sale in the Birmingham AL area. This is one of the good ones! This turnkey 3 bedroom, 2.5 bath all brick home was originally built in the style of the famous Admiral Semmes&apos; antebellum home in Mobile. Southern charm abounds in the covered front porch, the decorative cast iron railing, the spacious back deck and the open porch off of the master bedroom. True living and dining rooms. Hardwood floors throughout, open kitchen and family room. The kitchen features a gas range, stainless appliances, and granite countertops. Finished daylight walkout basement is very spacious. New roof, exterior paint, and landscaping. Great flat yard with sprinkler system and parking pad. Garage parking for two cars. Choice of Mountain Brook or Brookwood Forest Elementary. Close to shopping, dining, and interstates. Neighborhood sidewalks. This one has it all! Driving Directions: From 280, Turn On To Green Valley Road. Little Branch Drive Is On The Right, House Is On Corner.